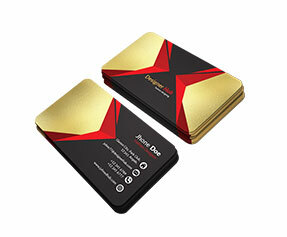 Are you looking for business cards with the ability to captivate a prospective customer’s interest? 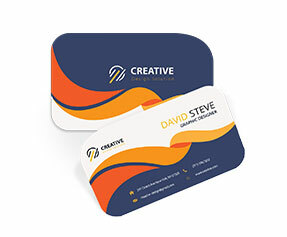 Regular shaped and traditional business cards cannot give the desired exposure to your business and they often end up in baskets and unfortunately unread most of the times. 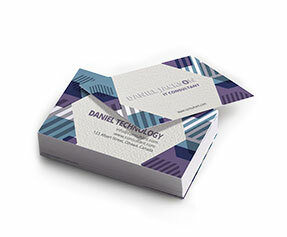 In order to compel your prospect to read your message on the business card thoroughly, folded business cards are a better option. They automatically get the attention of customers because everybody wants to read what’s inside them. They add a value to your business and impress your existing as well as prospective clients. 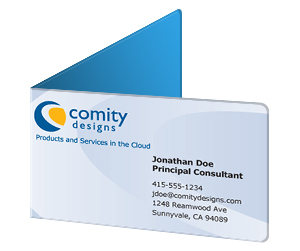 Printingblue offers the printing of all kinds of folded business cards in all die cut or regular shapes, colors and sizes according to your personalized requirements. 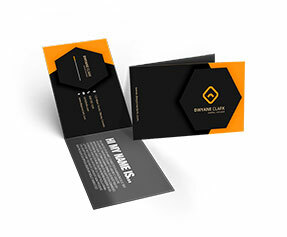 Our team of highly dedicated and skilled designers helps you in getting the best out of your folded business cards. 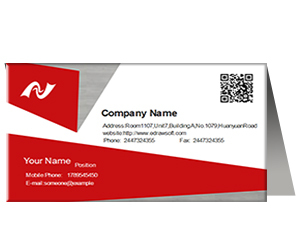 You can also make use of additional features that include text and logo embossing for making your business prominent and clear, foil stamping, full or spot UV coating for highlighting a certain important area of your card and more. We make use of full color CMYK/PMS (Pantone Matching System) printing process on premium quality 12 pt. gloss stock/100lb cover card stock. 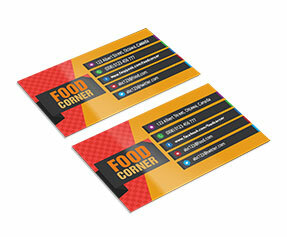 We offer free designing and shipping of your folded business cards printing order at your doorsteps.